Click on an image for a larger view and spec details. 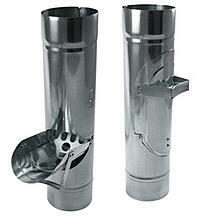 Downspout Inline Clean Out allows easy removal of leaves and debris from your downspout. Basket inside downspout clean out collects large objects such as leaves, sticks, and rocks. This prevents the slowing of water flow in your gutter system. Downspout clean outs will keep your roof drainage system performing at its best. Fits over downspout. Placed at ground level, simply slide this adapter up to allow access and easily remove leaves and debris from the stainless steel basket. Made from 18 oz. copper. 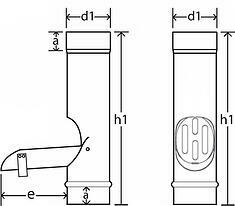 Available in 4" downspout size. 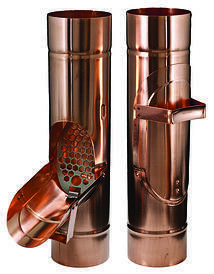 Downspout Inline Clean Out allows easy removal of leaves and debris from your downspout. 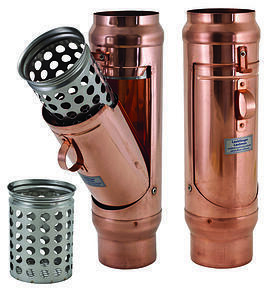 removable stainless steel basket inside downspout clean out collects large objects such as leaves, sticks, and rocks. This prevents the slowing of water flow in your gutter system. Downspout clean outs will keep your roof drainage system performing at its best. 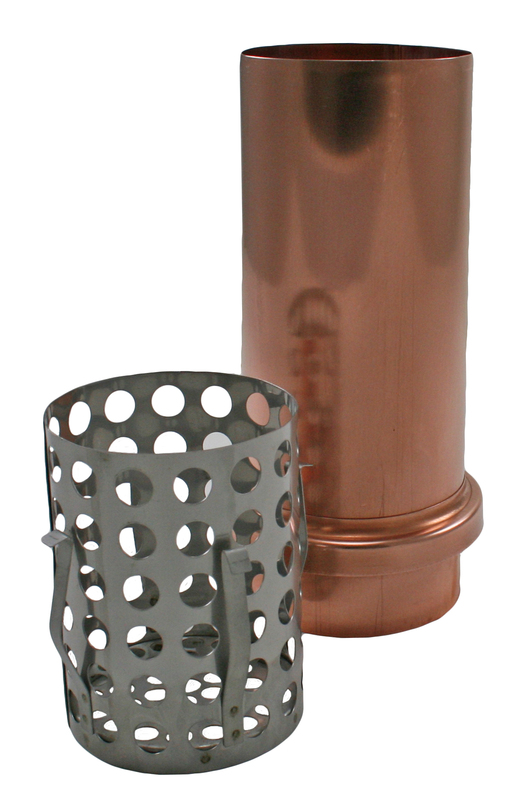 removable basket makes cleaning your downspout easier than ever.